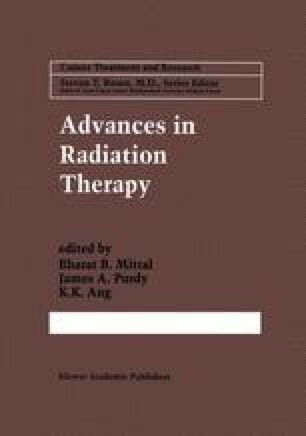 Stereotactic radiosurgery was a radical departure from the general approach to clinical radiotherapy and radiobiology during the decades of the 1950s through the 1980s. The prevailing trends at the time were increasing fractionation (eventually moving to testing hyperfractionation for many tumors), treatment of larger fields (such as whole CNS axis irradiation for germinoma, ependymoma, and medulloblastoma), and avoiding treatment of benign diseases to prevent causing radiation-induced neoplasms. Radiosurgery was defined in 1951 as the single-session, closed-skull destruction of a stereotactically defined intracranial target with high-dose ionizing external beam irradiation . What started out as a seemingly heretical technique on the fringes of radiation oncology and neurosurgery is now a firmly established, widely used technique, with over 14,000 patients treated per year worldwide at Gamma Knife sites alone.